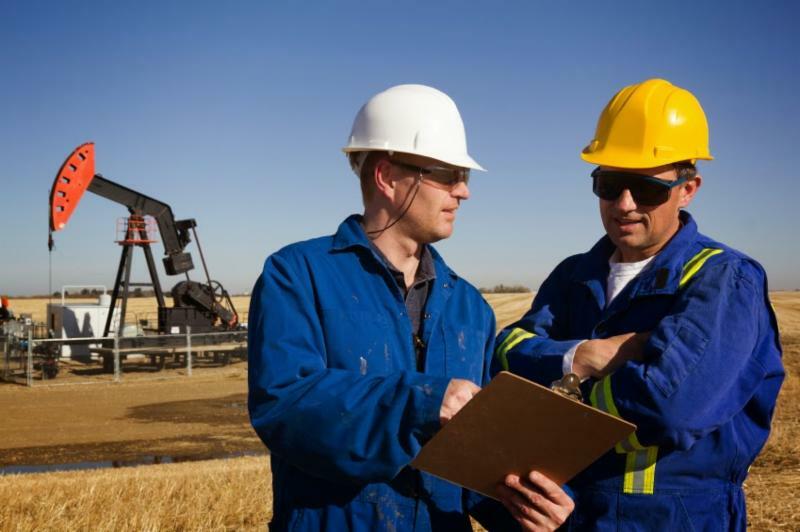 North Dakota’s Oil and Gas Research Council (OGRC) voted this week to recommend approval of financial support to help boost enrollment in the Petroleum Engineering program at the University of North Dakota. Professor Vamegh Rasouli, the department chair, told the council that enrollment in the program dropped when oil prices plummeted in 2015 because students were uncertain about future job opportunities in the field. Rasouli said there are currently just 11 freshmen enrolled in the program, and he is concerned it will collapse without an infusion of funds and industry support. The Petroleum Engineering program started at UND in 2010 and peaked with more than 300 students in the 2014-15 school year. The OGRC recommended approval of a $605,000 grant, an amount that would be matched by actual or in-kind contributions from several companies in the oil industry. Rasouli said the money would be used to provide tuition and a stipend to hire Ph. D. candidates with industry experience to assist with teaching and operating instructional laboratories. A portion of the funds would also support the salaries of professors in the Petroleum Engineering school, who are currently paid just nine months of the year under their contract. This will enable professors to work throughout the year with Ph.D. students as they complete research projects. Rasouli urged industry players to have an active role in the program. His vision is that industry partner with students early in their academic career, assuring those who enroll that they are attached to a job upon graduation. He also encouraged industry to use the laboratory facilities at UND. The OGRC’s recommendation must go to the ND Industrial Commission for final approval. 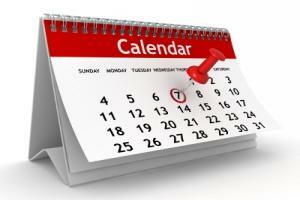 The NDIC is tentatively scheduled to consider the funding request May 17. 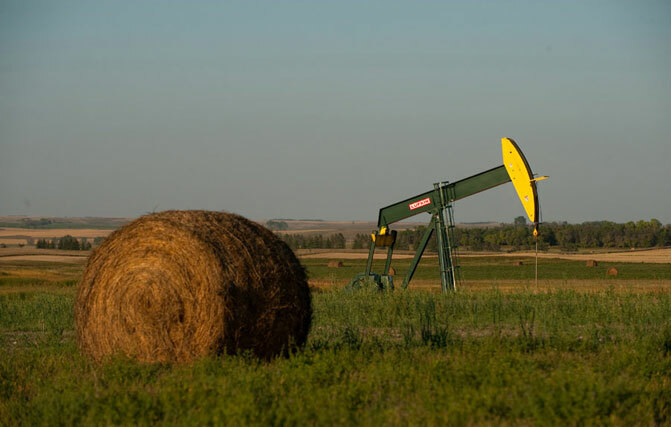 The North Dakota Industrial Commission submitted comments in late April, objecting to parts of the Bureau of Land Management’s proposed Methane Rule. Formally known as the “Waste Prevention, Production Subject to Royalties, and Resource Conservation Rule,” the regulation was enacted during the waning months of the Obama Administration. Congress made an attempt to block the rule, but the effort fell one vote short of passage in the U.S. Senate. While supportive of many parts of the rule, the NDIC “strongly recommends” that it exclude state or private tracts in a federally-approved drilling unit. NDIC points out that 85 percent of oil and gas development in North Dakota occurs on private land. But due to the state’s unique history of land ownership (related to foreclosures in the 1930s), there are many small federally-owned mineral estate tracts scattered throughout western North Dakota. 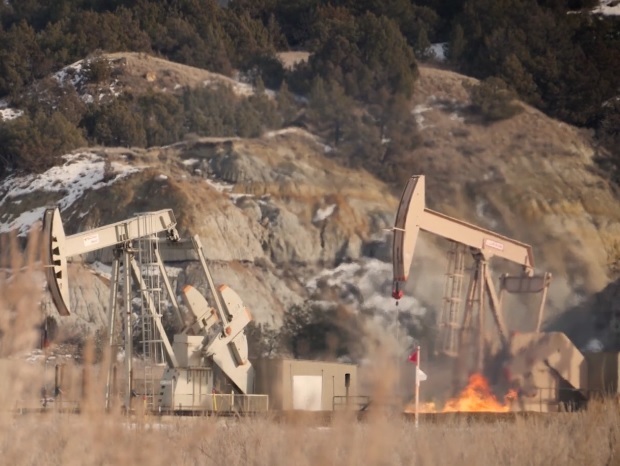 Those small federal estates impact more than 30% of the oil and gas spacing units recognized as a communitized area by the BLM. 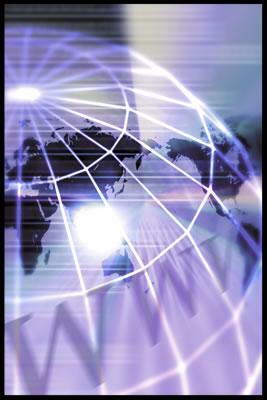 The net effect is federal minerals interspersed in a "checkerboard" of private and state ownership, resulting in duplicate regulation of established spacing units. The NDIC also recommended that a section intended to prevent gas venting be removed from the rule. The comments point out that North Dakota regulations don’t provide exceptions for venting, but allow it only after notice and public hearing. So any explicit exception granted by the BLM would create a conflict with the state’s regulations. Click here to read the state’s comments. Click here to see the BLM rule. 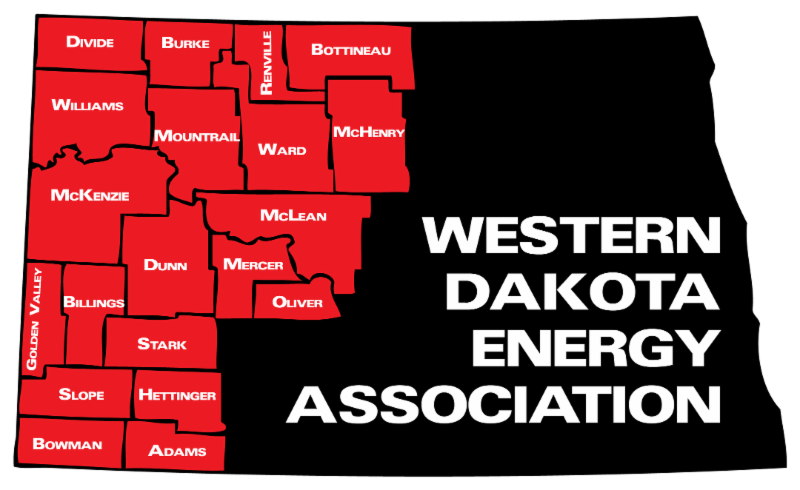 Outgoing WDEA President Shawn Kessel will not be moving to Minnesota. Instead, he's been named Deputy Commissioner of the North Dakota Commerce Department, a position he will begin June 11. Kessel has been the Dickinson City Administrator since 2009. 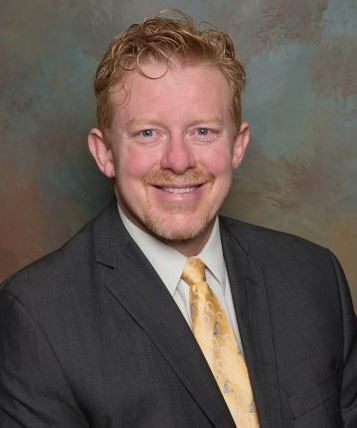 He announced last week he was leaving Dickinson and the WDEA to take a position as city administrator of South Saint Paul, Minnesota. But he said the opportunity with Commerce prompted him to reconsider his plans. Click here to read more from the Department of Commerce. Four projects aimed at improving oil production and enhancing environmental protection received the endorsement of the ND Oil and Gas Research Council this week. One of the projects receiving the council’s support seeks a $3 million matching grant to investigate waterflood optimization as a precursor for CO2-enhanced oil recovery to revitalize conventional oil fields in the Tyler and Madison formations in Billings County. The proposal was submitted by Eagle Energy Partners working in close collaboration with the Energy & Environmental Research Center. Click here to see the slide presentation. Council members also endorsed research that will explore a variety of proprietary leak detection methods in a program dubbed iPIPE (intelligent Pipeline Integrity Program). The council recommended a $1.6 million grant for the project submitted jointly by Hess Corporation, Oasis Midstream Partners and Statoil Pipelines. Work will focus on gathering systems, looking at both oil and produced water pipelines. Click here to see the slide presentation. 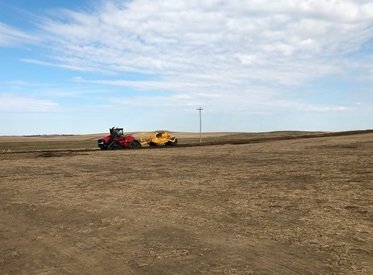 The research council also recommended funding for a project that proposes to use electrokinetics to clean up sites contaminated by brine spills. Using solar-powered arrays, the researchers will attempt to show that chloride and sodium ions in groundwater can be directed to electrodes in the soil and removed. Funding of $149,960 was recommended for the project submitted by Terran Corporation and Oasis Petroleum. Click here to view the proposal. Also endorsed by the council was a project submitted by Barr Engineering that will explore the processing of oil field brines in a chlor-alkali process to manufacture caustic soda and hydrochloric acid. The research would also investigate the recovery and concentration of rare earth minerals from the brine. The project, which seeks $110,000 in funding, was submitted on behalf of Triple 8, LLC, the business interested in commercializing the technology. Click here to view the slide presentation. Final approval of the grants must come from the ND Industrial Commission, which is tentatively scheduled to consider the recommendations at a meeting on May 17. 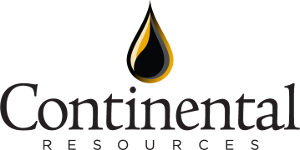 Continental Resources says its Bakken production is up 48% in the first quarter of the year compared to the same period in 2017. The company's first quarter 2018 report shows Bakken production averaged 161,356 Boe/day. Approximately 80% of the production was oil. The company completed 31 gross (21 net) operated Bakken wells during the first quarter with an average 24-Hour IP of 2,079 BoE per day. Three of the Company's top five all-time 30-day rate wells in the Bakken were completed in the first quarter, averaging 2,305 BoE per day. Continental has completed 164 optimized Bakken wells in Dunn, McKenzie, Mountrail and Williams counties. Renee Jean's Williston Herald story is here . Site grading work began this week on a 99-megawatt wind farm in southwestern McHenry County. The project, known as New Frontier Wind, is being developed by Capital Power, based in Edmonton, Alberta. It will feature 29 turbines spread over a 17-square-mile site south of Velva. The wind farm will connect to the grid through a transmission line to Great River Energy’s McHenry Substation. Power from the $145 million project will go to 15 states and the province of Manitoba. The wind farm is expected to begin commercial operation in December. The Theodore Roosevelt Expressway Association’s (TREA) third annual clean-up week along Highway 85 is May 14-20. TREA Executive Director Cal Klewin said the effort is a few days later in the spring than past years due to the late snow melt. He expects a good turn out from volunteers in the oil patch. "One thing I have learned is there is a lot of concern in communities and oil companies," he said. "These volunteers take it seriously." Klewin is asking for groups and individuals to contact him to coordinate the work. "If you have a section along the corridor you're going to work, let me know so I can let others know areas that are being picked up," he said. Areas in greatest need of attention are those around travel centers, truck stops and convenience stores. He said nearby ditches collect coffee cups, wrappers and plastic shopping bags. 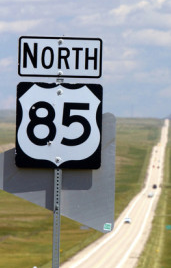 NDDOT will patrol the Hwy 85 corridor and pick up trash that volunteers set on the highway shoulder. Volunteers can contact Cal at 701-523-6171 or email cal@trexpressway.com. Just what is classified as a "bridge?" How are bridge inspections done? What are the names of bridge parts? Those are the kinds of topics Bridge 101 will cover in educational meetings in Grand Forks and Williston. 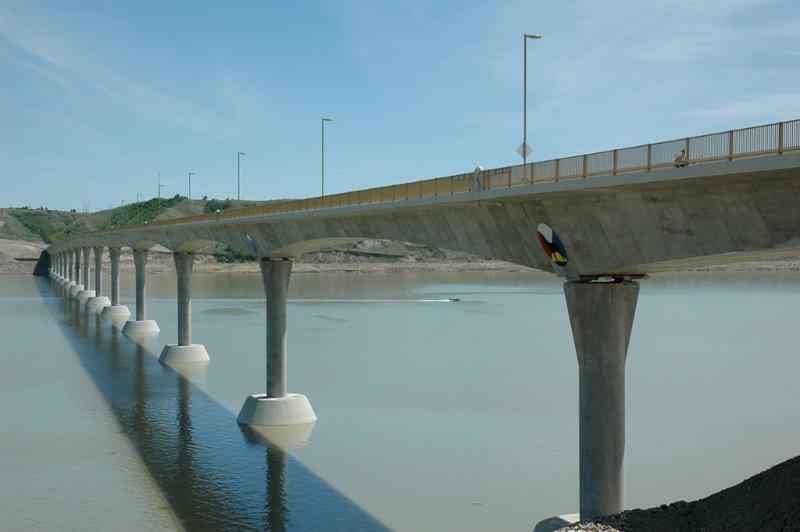 The North Dakota Local Technical Assistance Program (NDLTAP) day-long sessions include a bridge inspection. The training will help truck drivers, local government officials, blade operators and others learn about bridges. Click here for more information from NDLTAP. Click here for the Bridge 101 poster. Fourteen smalltown grocery stores have closed in North Dakota in just the past three years, and is raising concerns among rural interests. The downturn is worrisome to rural economic interests because grocery stores are a magnet for small towns. Stores create jobs, and bring people to town to socialize and support other businesses. 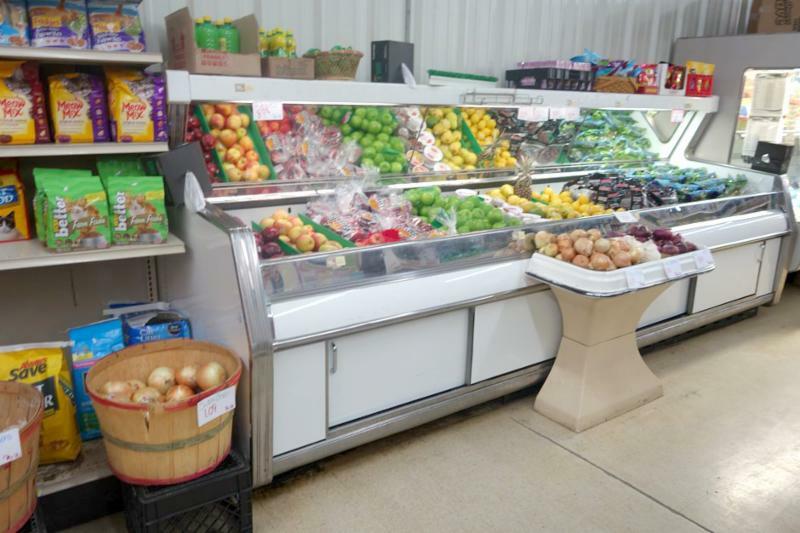 According to the 2017 North Dakota Rural Grocers Study, small town grocery store operators are collaborating with each other to stay alive. 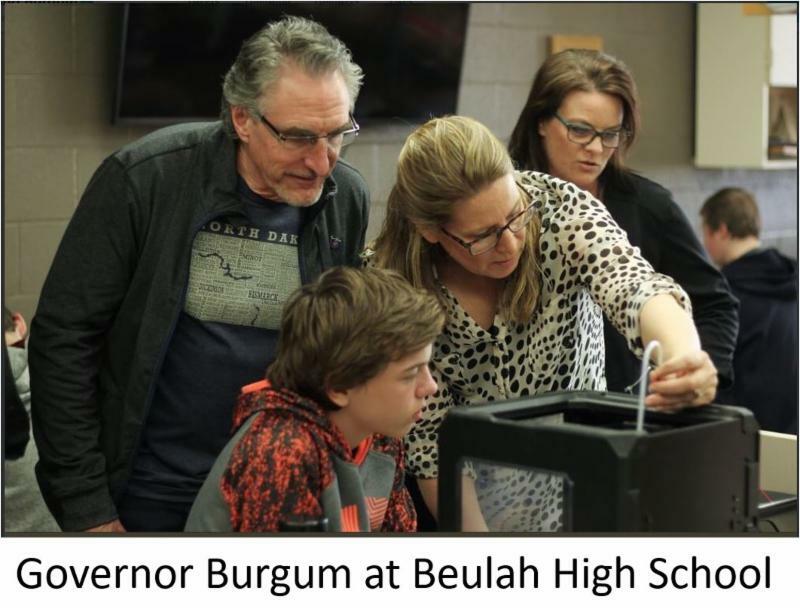 Governor Burgum dropped in on Beulah High School Wednesday to "walk in our student's shoes." As part of the Shadow a Student Challenge, he followed Beulah High student Phoebe Garman, sat in classes and took notes. In his suprise, unannounced visit, the Governor also dropped in on the Beulah middle school and visited with eighth graders. Earlier this week, Burgum announced his Education Innovators Fellowship. The program will help educators advance what he calls "evidence-based and community-derived initiatives. KFYR-TV story on the Beulah school visit is here.